Hop aboard Captain Jim's pontoon boat this spring for a festive family float at a new location. Since 2001, Blue Heron Cruises has taken Middle Tennessee families on nature floats along the Cumberland River launching from Ashland City. 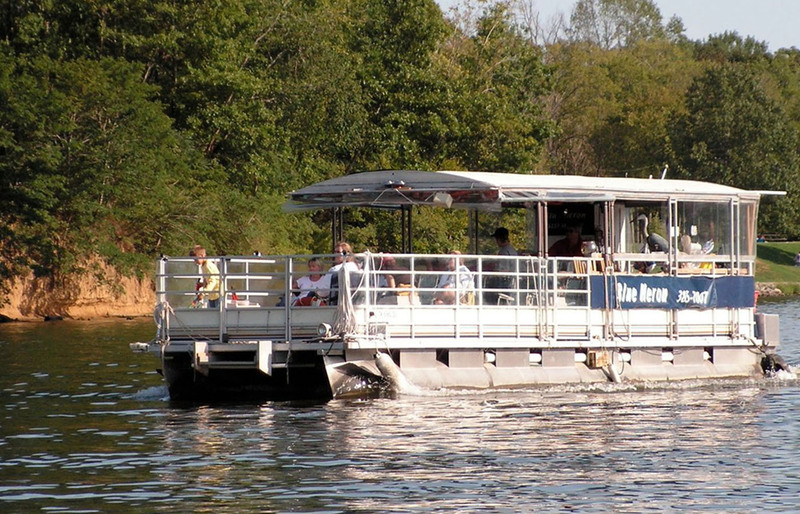 Now your family can hop aboard Captain Jim Steele's large pontoon boat for cruises on Percy Priest Lake. Blue Heron Cruises' new location is at Fate Sanders Marina, located at 3157 Weakley Lane, Mt. Juliet. Blue Heron offers nature cruises, sunset cruises and private cruises. The Nature Cruise is the popular option with families on the boat that holds up to 20 passengers. The 90-minute excursion offers opportunities to see wild birds in our area, including great blue herons, bald eagles, white egrets, cormorants and others. The cruise also provides the opportunity to take in the current season's flowers and foliage while relaxing aboard the boat. In addition, educational narration is part of the experience with varying topics like wild birds, rivers, Native Americans and more. The Nature Cruise schedule for the remainder of April is Saturday, April 20 at 1 p.m. and Sundays, April 21 & 28 at 2 p.m. Starting in May, the schedule is open daily for the late spring/summer season: Sun - Fri 11:30 a.m., 2 & 4 p.m.; Sat 10 a.m., 12, 2 and 4 p.m. (hours may vary on certain days). Admission is $14.50 adults; $11 active military and their families; $9 ages 3 - 17; free for ages 2 and younger. The Nature Cruise is popular among homeschool groups, and Blue Heron offers a discount for homeschool groups of 14 or more people (call for the rate). Furthermore, you can rent the boat for private group outings or birthday parties. You can get a private, three-hour cruise for $300. For more info or to book a cruise, call 615-385-7007 or visit blueheroncruises.com.